How have I lived all these years and not known that it was possible to have a chain in such a variety of colors? 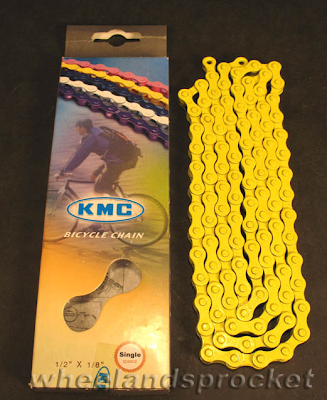 Though the yellow may not necessarily be my favorite, I want to build a whole bike around a themed chain. I see a project in the works, too bad I don't want to spend any money to do it. Hmm, details details.